When an optical fiber is bent by 90¡ or more, the light begins to leak away, posing a problem for fiber optics communications. But by using special lenses that can bend light by not only 90°, but also 180° (i.e., a U-turn) or 360° (i.e., a full loop), scientists may limit light leakage in optical fibers and overcome this problem, not to mention provide a useful material for many other applications. 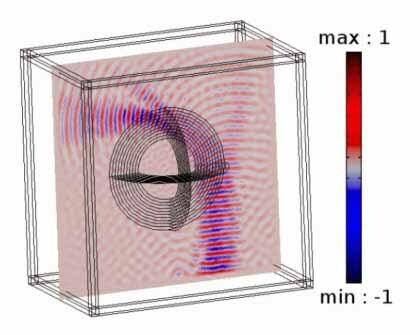 Recently, a team of scientists has theoretically investigated materials for achieving this kind of advanced light control, which could work equally well for sound waves. The trick is that light or sound, depending upon the physical context, will then follow curved trajectories in the anisotropic effective medium (solid or fluid): waves propagate in the direction of highest anisotropy, which is the principle of Einstein's relativity.